Derrick first worked with EYA in high school, where he helped restore Oak Meadows Park with his biology class. Following that experience, he pursued three different EYA programs. His love of plant science was a result of his years of work with EYA. Derrick graduated high school as valedictorian and most importantly, founder of the garden club as a result of his work with EYA. 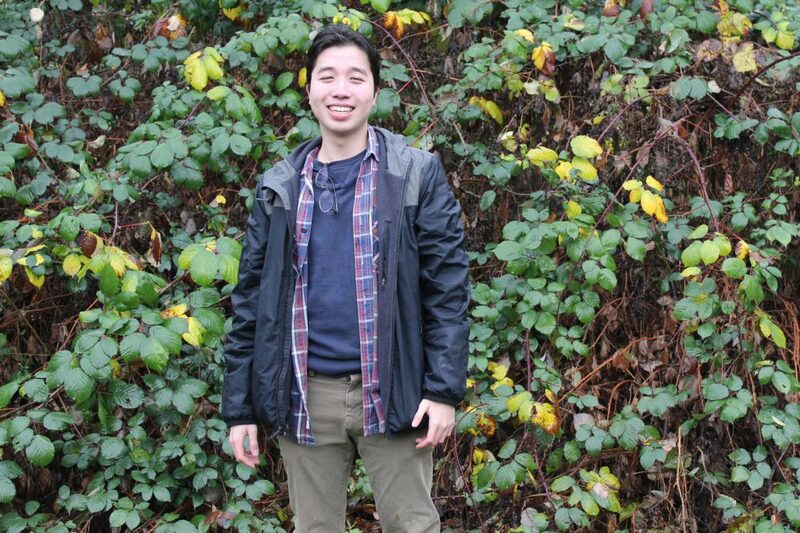 Derrick is now a second year student in the UBC-BCIT Biotechnology Honours Bachelor’s degree program. He plans to combine his passion of plant sciences with modern biotechnology to achieve his ultimate dream of becoming a professor. Until then, he spends countless hours in lecture and in the lab. When he is not at school, Derrick enjoys biking and hiking with his friends, but still, he is always learning, especially when he is biking too fast on a downhill slope. His favourite plant is the lupin, a nitrogen fixer and beautiful flower. His least favourite plant is the invasive Himalayan blackberry, which ironically serves as the background in his photo. Derrick is excited to work with EYA yet again, but this time as the Youth Board Member and member of the Youth Advisory Committee and from a different perspective. He hopes to impact the organization, just as much as EYA impacted him.